Is your AED is ready to save someone? Have you checked your AED lately? Ever worry that someone forgot to? Or is it causing your organization too much time to stay on top of them all. We have the solution for you. SmartLink. SmartLink, is a revolutionary new system that monitors the status of your AED and if it fails a self-test, needs pads replaced, dead battery or fails, it will notify you by email. AEDs will be ready to save a life when needed. 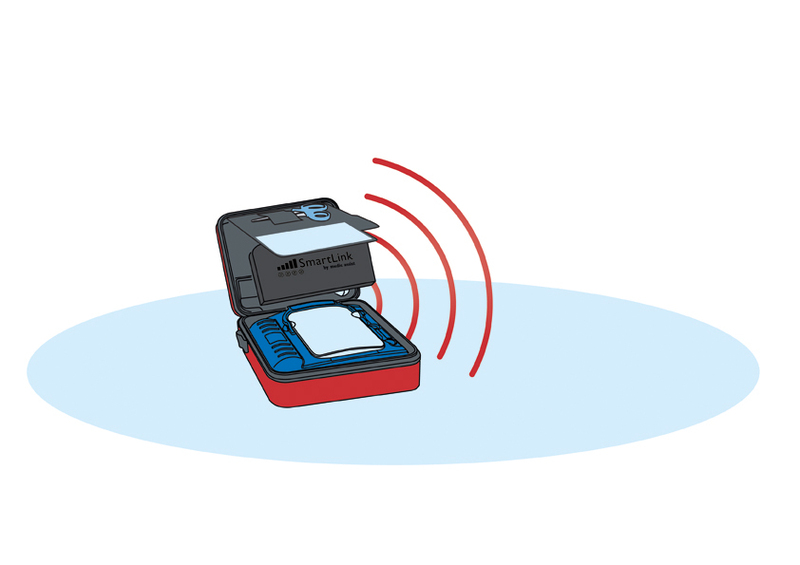 A SmartLink monitor and transmitter are placed in your OnSite or FRx carry case. It automatically detects whether the AED passes its daily self test and transmits the results to a cloud based server that emails you when the AED fails a self test. It is wireless and works on a small cell signal, no internet is required to operate. If you don't want to monitor your AEDs, Altra Medical can monitor your AEDs for you, notify you when you have a problem and automatically replace the pads and battery when needed. For as little as $15/month you can have peace of mind. Check out pricing options here. 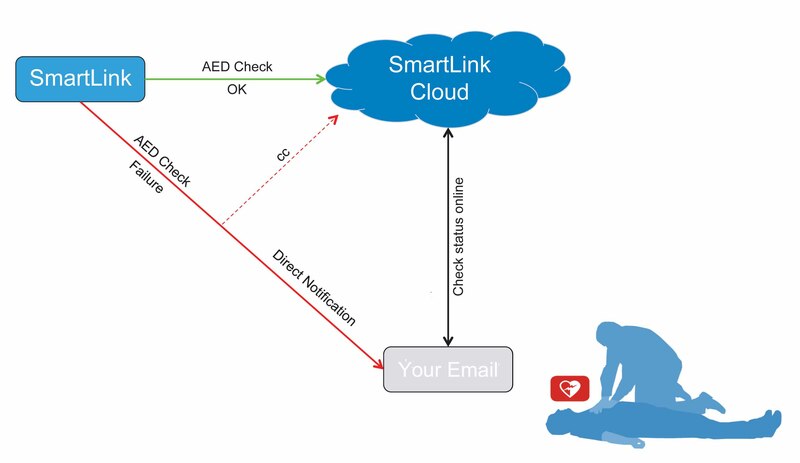 How will SmartLink improve your AED program? Constant monitoring ensures your AED is always ready to save a life if you need it. Limits possible liability from having an un-maintained AED. Gives peace of mind -- this is an AED maintenance program that never takes a day off. Offers immediate access to AED data. Ready to get started? Order here or Contact us at Altra Medical. You can also pair SmartLink with a maintenance program, which provides annual visits from a member of our highly trained staff. It is easy to order SmartLink. There is an small initial charge for the transmitter. Then chose a plan that meets your needs. The Basic Plan ranges from $10 to $15 per month and notifies one email address. The Pro Plan notifies up to five email addresses, and will not only tell you that the AED needs attention, but what the problem is, pads, battery or temperature issues. There are also other features described here. Call Altra Medical today at (727) 541-5900 to learn how you can get started with SmartLink or any of our other great maintenance programs.